My regular monthly selectman office hours are at The Center on the first Friday of every month from 9:00 to 10:00 AM (this Friday). I can be reached via my cell phone at 508-359-9190 or my blog about Medfield matters, where any schedule changes will be posted. Representative Denise Garlick is providing her report to the town this evening at the public safety building. 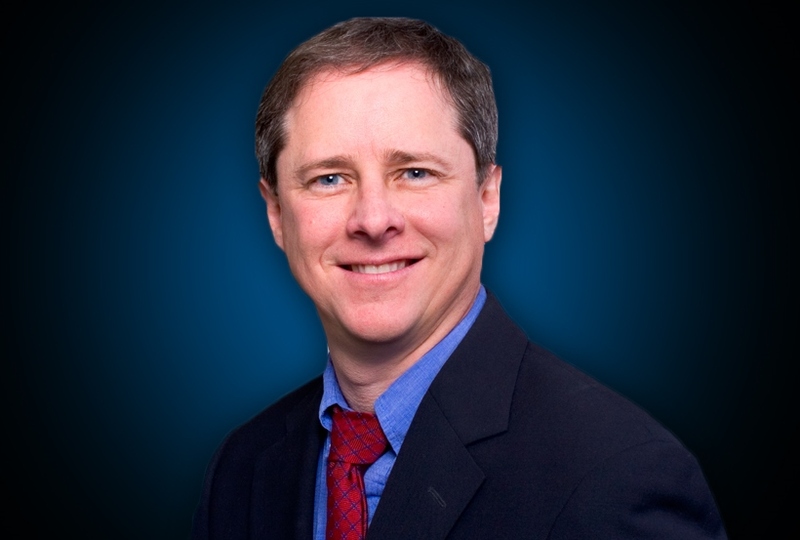 The School Committee has canceled its office hours scheduled for tomorrow evening, as members are attending Representative Denis Garlick’s Report to Medfield. The next office hours are Friday, Feb. 8 at 9-10 AM at Memorial. Can you please spread the news that SC Office Hours scheduled for Thurs. Jan. 31 at 7pm at the high school is cancelled? 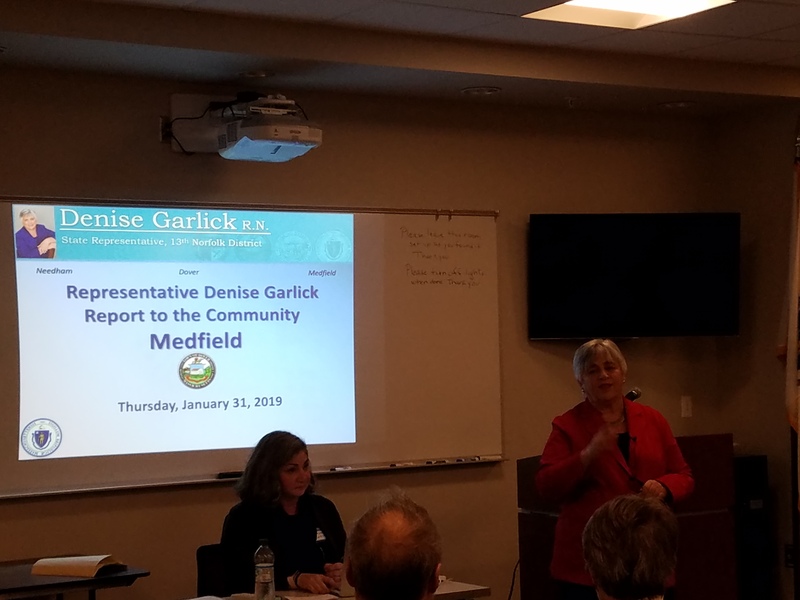 Many of the school committee members will be attending Denise Garlick’s presentation. However, luckily we have SC Office Hours scheduled for next week: Friday, Feb. 8 at 9-10am at Memorial. 2015 Medfield Foundation Volunteer Awards nominees. The deadline to submit nominations for the 2019 Medfield Foundation Volunteer Awards is this Thursday, January 31. 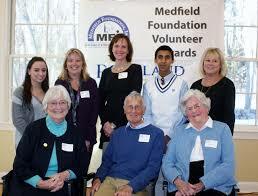 Nominations are made via the on-line form at http://medfieldfoundation.org/volunteer-awards/. The recognition reception will be held at 3PM on Sunday, March 31 at The Center at Medfield, on Ice House Road, and all are welcome (and guaranteed to be inspired). My part of the MMA is ending with Jim and Margery hosting Angela Cabrel and Mayor Dan Rivera during a mock radio show. 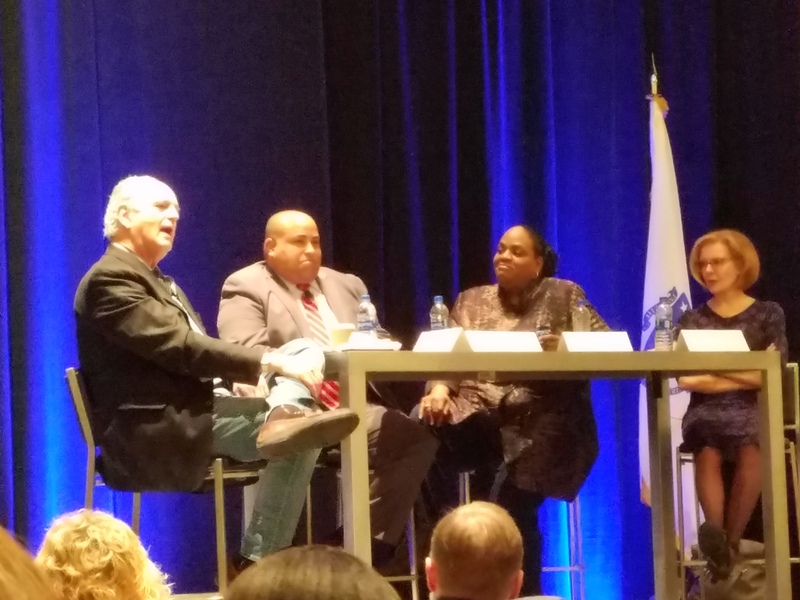 Just discussing racism, amongst a room of mainly white municipal officials. 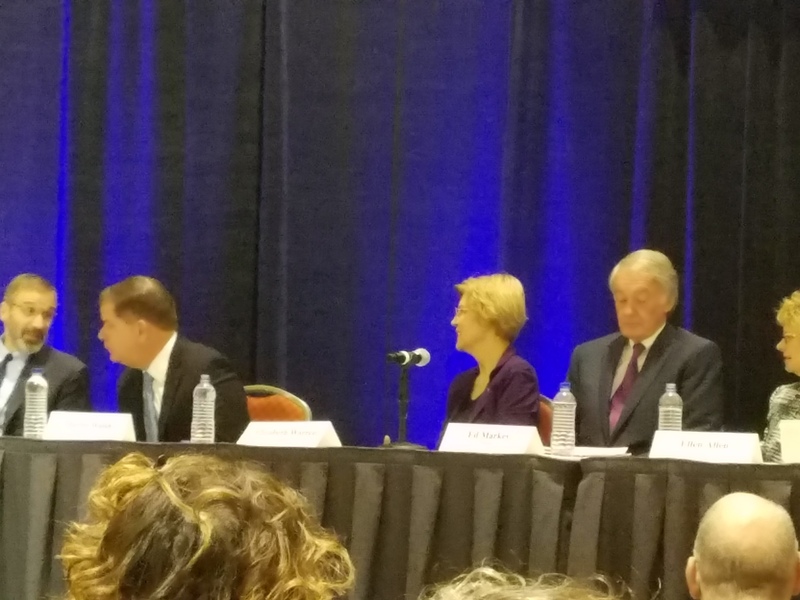 Hearing from the state’s other political leaders this morning. Massachusetts Selectman Association’s annual meeting just ended, which focused on education funding and how the schools and town sides can share the town budget. Best to have an agreement on a formula how to do so.